Concussion is a type of brain injury that affects many people. For decades concussion was not given much consideration; however in recent years our knowledge about this injury has evolved. The lawsuit against the National Football League and the associated increase in media coverage has increased people’s awareness but also fear about concussion. While increased awareness is always good, there continues to be a lot of misinformation and misunderstanding about concussion. This 3-hour course will provide an overview of concussion, including the epidemiology, the most up to date basic and clinical science, and what is believed to represent the natural course of recovery. Core components of assessment and approaches to management will be reviewed. Factors that mitigate concussion and complications associated with concussion, in particular post-concussion syndrome will be thoroughly discussed, along with recommended treatment approaches. Lastly, chronic traumatic encephalopathy (CTE) will be explained and reviewed, including what is known and what remains unknown. The overall goal of this course is for psychologists to gain a better understanding of concussion, be able to tease apart true symptoms of concussion versus psychological symptoms, and increase effectiveness in treating post-concussion syndrome. Dr. Eastvold is a board certified neuropsychologist in the Neurology Department at the University of Utah School of Medicine. She earned her PhD in clinical psychology from the University of Utah in 2009 and completed a 2-year fellowship at the James A Haley Veteran’s Administration in Tampa, Florida where she received specialized training in all severity levels of brain injury, with a special focus on differential diagnosis of neurologic and psychiatric symptoms in brain injury. Currently, concussion and mild to moderate traumatic brain injury makes up a large percentage of her clinical practice. She is integrally involved in the University of Utah’s Sports Medicine and assists with the concussion care of athletes. 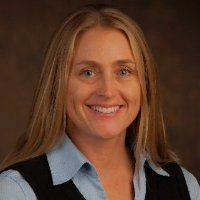 She also serves as independent consultant to Utah’s Real Salt Lake soccer and Bee’s baseball team, providing neuropsychological assessment and assisting with the return to play decision making process. Participants are asked to park in the staff parking lot in order to accommodate patients and their guests. Mail check to UPA, 5442 South 900 East, Ste. 512, SLC, UT 84117.